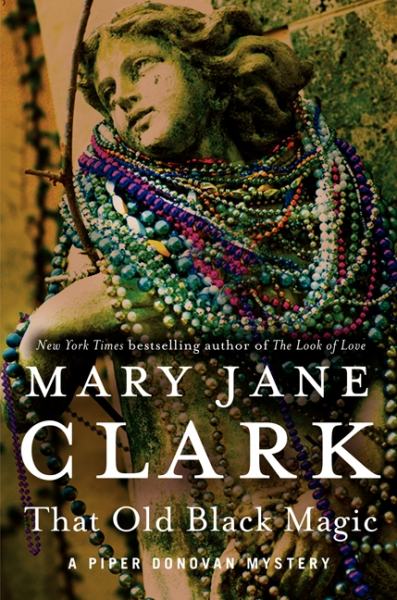 Mary Jane Clark's wildly popular mystery and suspense novels have appeared on the New York Times, USA Today, Publishers Weekly, and other national bestseller lists, and have been published in 23 languages. She has appeared on Good Morning America, CBS Sunday Morning, The Early Show, and Better TV. The Associated Press calls her "a literary magician ... one of the most talented story tellers around." 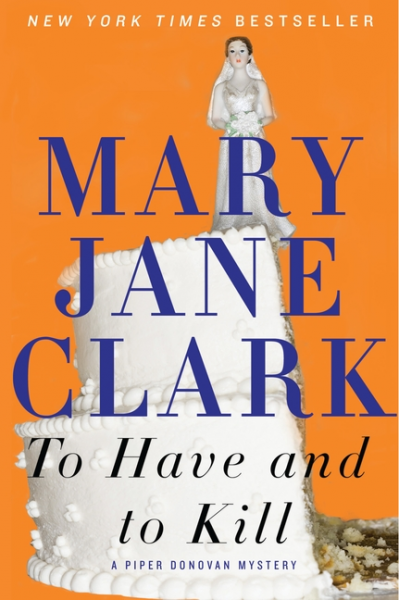 Clark is the ideal keynote speaker for library events, women's groups, and writing workshops. 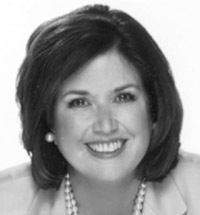 Clark spent three decades at the CBS News New York City headquarters, where she began her career as a desk assistant after graduating with degrees in journalism and political science from the University of Rhode Island. She worked her way through the ranks to become a producer and writer. Her first books came from that experience, developing KEY News, a fictional television news world where the characters cover their stories only to get involved in mystery and suspense. The 12 novels centered on KEY News are Do You Want to Know a Secret?, Do You Promise Not to Tell?, Let Me Whisper in Your Ear, Close to You, Nobody Knows, Nowhere to Run, Hide Yourself Away, Dancing in the Dark, Lights Out Tonight, When Day Breaks, It Only Takes a Moment, and Dying for Mercy. The first two titles in her newest series, the Piper Donovan/Wedding Cake Mysteries, are To Have and To Kill (William Morrow) and The Look of Love (William Morrow). Her next Wedding Cake Mystery, Footprints in the Sand (William Morrow), is set for publication in early 2013. 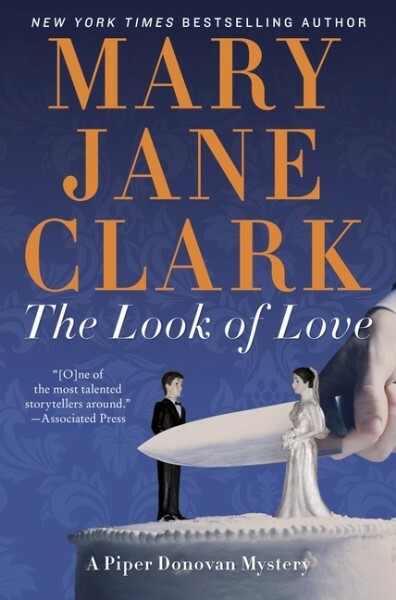 In Clark's The Look of Love, the ultra-luxurious Elysium spa and plastic surgery center in the Hollywood Hills caters to the rich and famous who are in need of "refreshing" -- a nip here, a tuck there, a little Botox, a little detox. When Jillian Abernathy, Elysium's owner, offers professional cake artist Piper Donovan an all-expenses-paid trip to Los Angeles to create a dazzling and unique wedding cake, Piper eagerly accepts. The job, after all, will give her the time and distance she needs to sort out her feelings for handsome FBI agent Jack Lombardi. At Elysium, everything seems picture-perfect -- until a guest is brutally murdered in one of the private bungalows. Someone, it seems, wants to make sure the spa's beautiful director never gets to walk down the aisle. And now Piper must dig beneath the glamorous surface of this idyllic oasis to uncover a very ugly truth -- and a cold-blooded plan for murder -- before the body count rises. 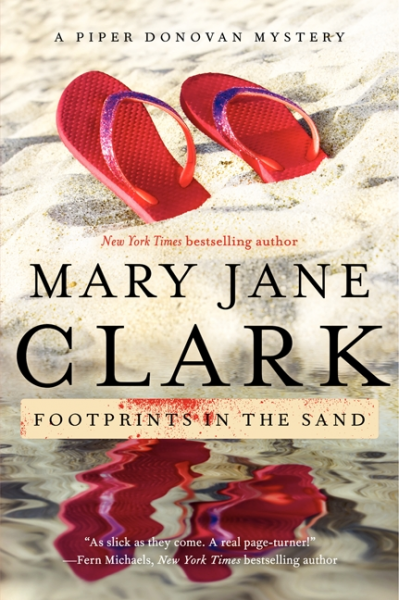 In her most recent title, Footprints in the Sand (William Morrow Paperbacks), Mary Jane tells the story of a struggling actress and wedding-cake decorator, Piper Donovan, who is thrilled to be in warm and romantic Sarasota, Florida, enjoying the powdery white beaches, soothing seas, and golden sunsets over the Gulf of Mexico. She and her family are there to celebrate her beloved cousin's wedding. Not only is Piper creating the sugar-sand-dollar-festooned wedding cake, she's also the maid of honor. But a cloud seems to be hovering over the whole affair. Shortly after a bridesmaid mysteriously disappears, a kindly neighbor's car is run off the road and a prospective witness, an innocent Amish teenager, is threatened to keep silent. Then a body is found on the beach where the wedding will take place. With the nuptials in jeopardy, it falls to Piper to unmask a killer. The daughter of an FBI agent, Mary Jane, herself a mother of two, splits her time between Florida and New Jersey. "Her novels are like Agatha Christie's whodunits, but they have a hard, contemporary edge that enhances the fear factor. They are so addictive, in fact, that her readers would surely suffer withdrawal symptoms unless they kept coming on a regular basis ... She is one of the most talented story tellers around." "Clark has perfected the suspense novel, where in classis Christie fashion, everyone is a potential suspect." "A mystery series that mixes the art of wedding cake design with the thrills of suspense." "Piper Donovan, professional cake decorator, actress, and amateur sleuth, is back. A multilayered plot filled with murder, a taste of jealousy, and a healthy dose of madness and mistaken identity is frosted liberally with a rich confection of humor and romantic suspense." "Delectable....Exciting....A literary magician...[Clark keeps] suspense high and the story moving at a brisk clip." "She understands how to hang on to her audience. Her characters are the sorts with whom many readers identify." "Touches of humor keep the mystery light, the baking subplot keeps it cozy....Clark's fans and readers who enjoy mysteries in the vein of Mary Higgins Clark may want to check this out.